Yesterday, TransCanada arranged to begin constructing its controversial Keystone XL pipeline project through South Dakota. Since Donald Trump approved the pipeline a year ago, we should take a moment to reflect on the true safety of pipelines. This project will be designed to carry crude from Alberta to refineries in Texas. The rhetoric being fed to Americans by the politicians, contractors, and owners of the pipeline clouds the true safety concerns regarding the pipeline itself. Before Canada elected the liberal Prime Minister Justin Trudeau, his conservative predecessor Stephen Harper repeatedly visited the United States to advocate the project, as did the conservative premiers of Alberta, during which they touted the pipeline’s safety. Canada spent $16 million advertising it in Washington and New York. However, the track record shows a different story about the integrity of pipelines and the energy industry. An oil pipeline operated by Texas-based Kinder Morgan Energy Partners erupted on July 24th, 2007 in the city of Burnaby, British Columbia, spewing 234,000 liters of crude onto a residential area. On July 26th, 2010, a pipeline owned by Enbridge, Inc., a company based in Calgary, Alberta, ruptured and spilled over 3.2 million liters of oil into the Kalamazoo watershed in Marshal, Michigan. The cleanup took three years and cost Enbridge $820 million. On March 29th, 2013, an ExxonMobile pipeline transporting crude from Alberta’s oil sands exploded in Mayflower, Arkansas, spilling over 1.9 million liters and causing an evacuation of the residents of 22 homes. There are hundreds of major and minor pipeline spills in the energy industry. Enbridge had over 800 incidents between 1999 and 2010, which tallies to 25.7 million liters of oil, says the Polaris Institute, a public interest research organization in Ottawa. Many of these incidents stem from the stability of the pipelines. Those that are under high pressure, like the Keystone pipeline, actually require the pressure of the soil surrounding it to maintain their integrity. Alberta’s Pipeline Act states that any ground disturbance greater than 30 centimeters, including the use of a shovel or rebar on personal property, requires a special permit and permission of the owner of any pipelines. The Energy Resources Conservation Board of Alberta states that if a proposed project is within 5 meters of a pipeline, the entire pipeline must be exposed, with a radius of 2 feet on all sides supported with scaffolding, but the pipeline is too sensitive to be excavated using a backhoe or even a spade. The pipe must be exposed with a hydrovac that infuses the earth with hot water and then vacuums it away from the pipe: a process called day-lighting. Hitting a pipeline with a backhoe or fracturing a pipeline by driving unwittingly over it is often what triggers an explosion, according to the Global Training Center in Strathmore, Alberta. The only way to locate pipelines is by using a line locator, which detects a tracer attached to the pipeline. Yet the tracers sometimes become detached from the pipelines, making their true location unknown. Because the pipelines need to maintain constant internal and external pressure, even when no oil flows through them, there is also a risk of explosions that can cause fatal injuries. According to Alberta’s Workplace Incident Fatalities, there were 3 deaths associated with working on pipelines in Alberta in 2012 alone. Congressman Fred Upton (R.-MI), who pushed through the Keystone Bill to circumvent President Obama from vetoing the pipeline, has famously defended the Keystone project by saying Americans are tired of paying $3.70/gal. for gasoline, despite that the average Albertan is currently paying $1.27/liter ($3.63/gal.). 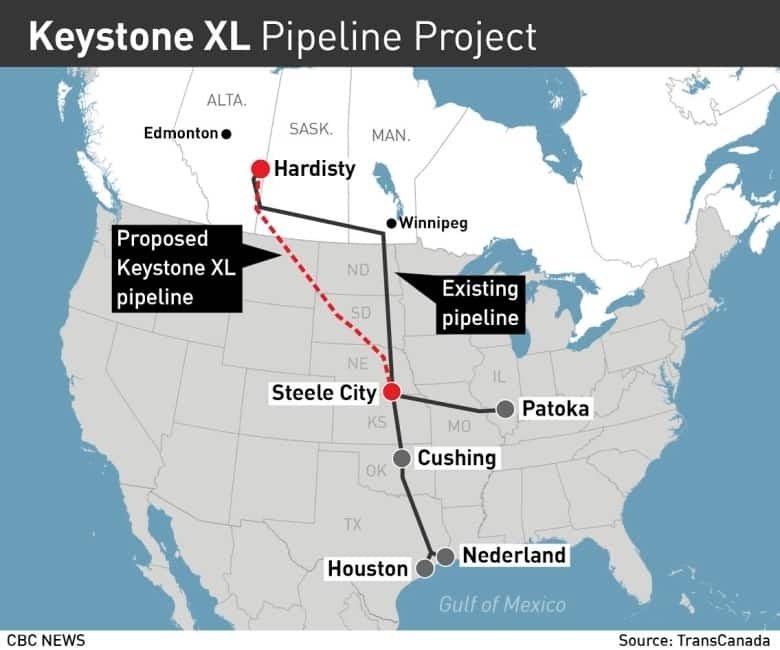 Although claims on future market projections for North American crude oil appear dubious considering that the Keystone XL pipeline already exists from Alberta to Texas. The only section under debate is the Keystone XL Phase 4, which will run alongside Phase 1 through the Dakotas and Nebraska. The primary controversy of the Phase 4 pipeline is that it cuts through sensitive areas in those states. Because of the hazards pipelines pose, TransCanada found itself under fire from the Nebraska Public Safety Commission last August, who demanded why the Phase 4 must cut through environmentally sensitive areas.